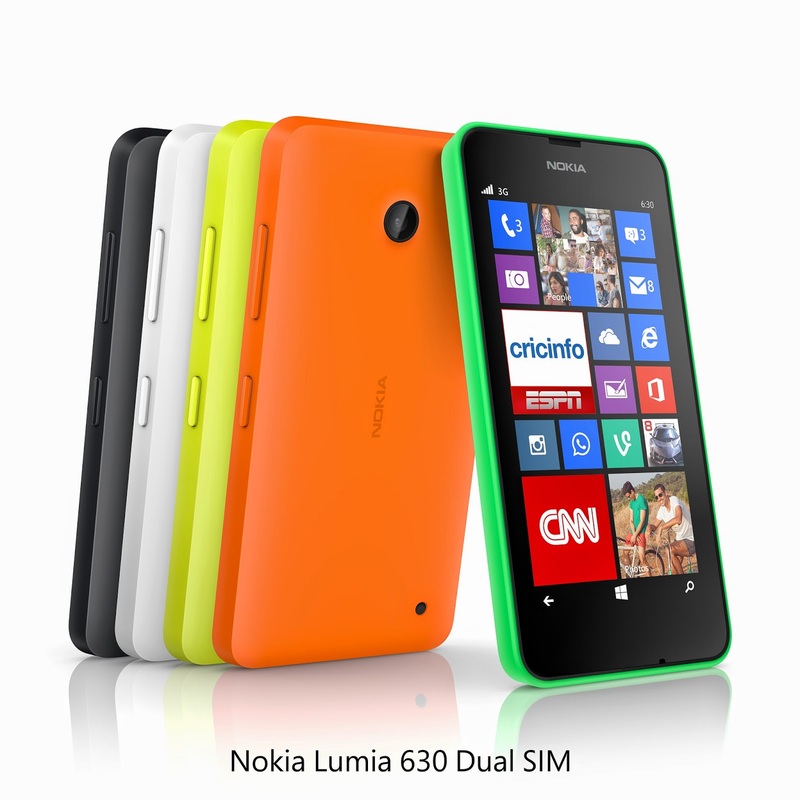 Karachi – 26th May, 2014: The Nokia Lumia 630 Dual SIM with Windows Phone 8.1 in now available in Pakistan. The first Dual SIM Lumia smartphone delivers an unrivalled affordable smartphone experience, with quad-core processing and a Clear Black 4.5” LCD screen. The Lumia 630 Dual SIM adds award-winning design and experiences found on high end Lumia smartphones to the leading personalization brought by Windows Phone 8.1. Users can now seamlessly switch between two SIM cards to manage their social life, clearly separate calls and messages to make it cheaper and easier to connect on their own terms. A quad-core Snapdragon processor delivers fast, uncompromised social experiences with Word Flow, Internet Explorer and social apps like WhatsApp, WeChat and Instagram. The smartphone showcases a new matte polycarbonate design with changeable shells available in bold new colors like bright orange, bright green and bright yellow, in addition to matte black and white. The 4.5” Clear Black screen, offers better viewing angles and visibility in bright conditions. Integrated features including one swipe notifications from Action Centre, the new Microsoft Enterprise feature pack, Microsoft Office, One Drive, and Camera make the Lumia 630 a great tool for work and play. The new Sensor Core also brings low power motion sensing to help people track their activity all day without using up the large 1830mAh battery – perfect for exercise and exploration using apps like Bing Health and Fitness. A wealth of storage is available, with memory expandable by up to 128GB using a microSD card, allowing people to save and switch locations of pictures, videos, music, maps and apps with ease. The Microsoft Devices Group includes award-winning hardware used by over a billion people around the world, including Lumia smartphones and tablets, Nokia mobile phones, Xbox hardware, Surface, Perceptive Pixel products, and accessories.